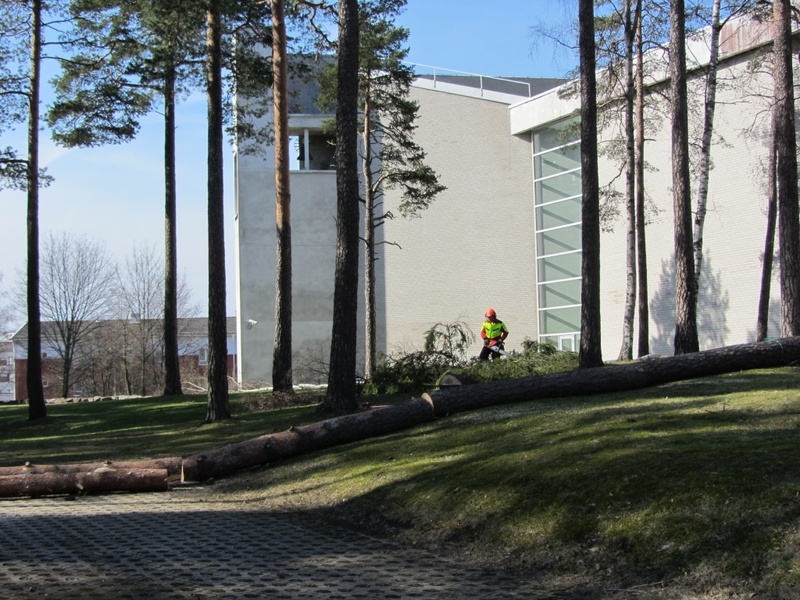 This man was cutting some trees with his chain saw near the Kerava Church. Maybe the trees were getting old and dangerous. This happened not on Sunday but on Monday, though! Snow is gone at last? @gijsje There is still some in the woods and in shadowy places.